This website won the 2013 Blue Drop Award for Best Government Website and a Webby Honorable Mention, and we couldn’t be prouder of our work on it. 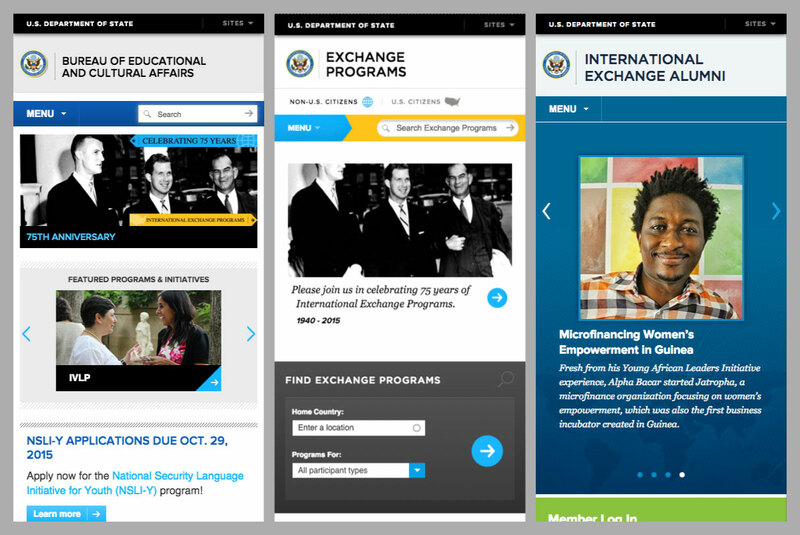 For more than 50 years, the U.S. Department of State’s Bureau of Educational and Cultural Affairs (ECA) has sought to cultivate mutual understanding between the people of the United States and the people of other countries to promote friendly and peaceful relations through cultural diplomacy and international exchange programs. In those 50 plus years, more than 1 million people have taken part in an exchange program. The goal of our work was nothing less than a complete re-imagining of how the Bureau communicates online. The site is one of four intertwined, enterprise-scale websites, all served from a single Drupal install. It is visually interesting, and features compelling storytelling, and deep content. It employs best practices and contributions from the entire Drupal community, and further cements Drupal as a key component of Open Government and Government 2.0. 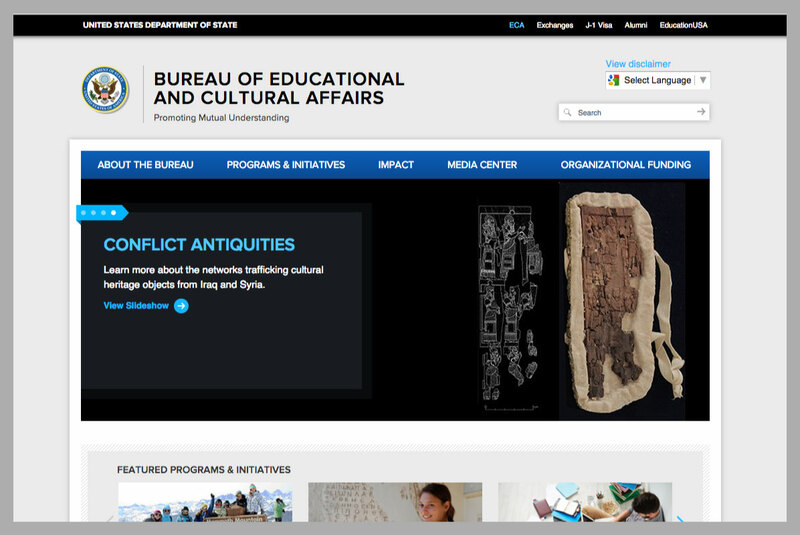 Even with all of this complexity, the site is perfectly transparent to site visitors and administrators — because the site just works, creating a home for person-to-person diplomacy that strengthens the Bureau’s relationships with its audiences. 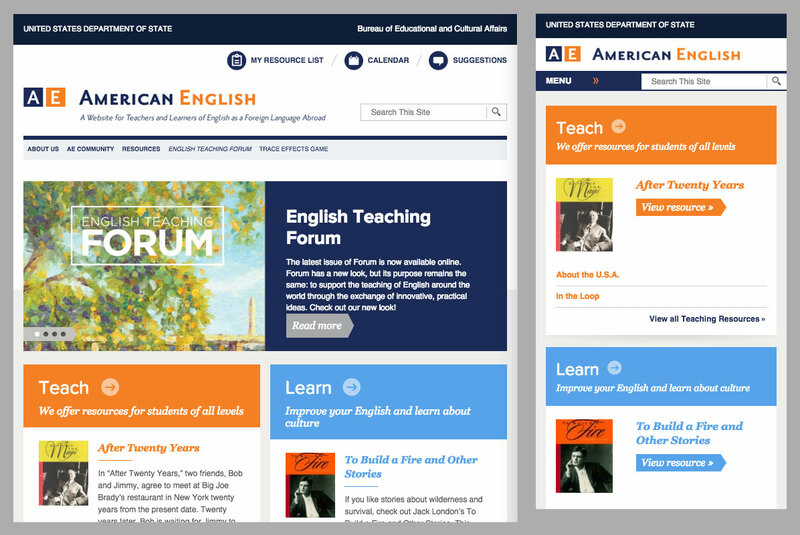 We worked with more than 90 exchange programs to define the content and functional requirements for the collection of four audience-based websites. Core requirements included adaptive and responsive design, multilingual content, interlocking content served from a single content store to any or all of the four websites, world-class visual design, and ease of use for the small team of ten web producers who would be charged with maintaining the sites. 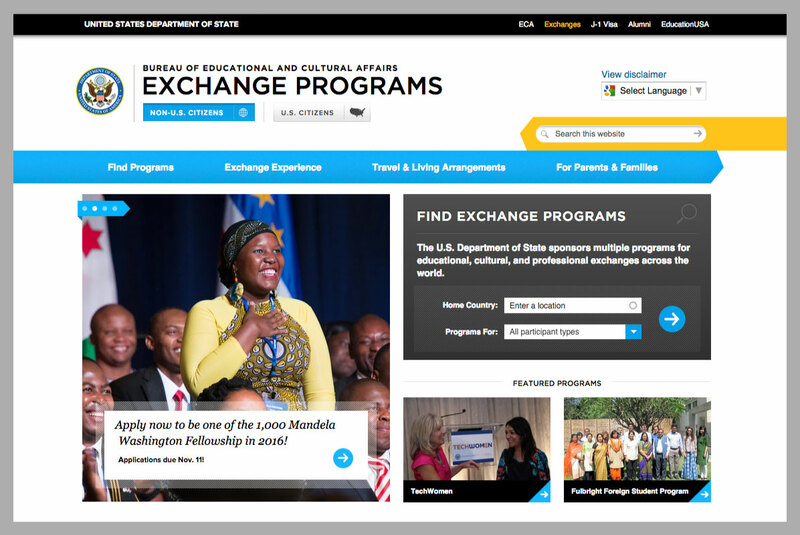 We highlighted the impact of the many programs and initiatives that the Bureau sponsors, while providing clear outbound links to the Exchange Programs site (exchanges.state.gov), the sibling site serving potential exchange participants. Since the public launch of the site ECA has seen upticks in the common analytical metrics. More importantly, the success of sites is creating a groundswell of interest inside the Bureau for audience-centric content strategy, stunning visual design, and smart Drupal-based implementation. Rather than building a highly constrained website that requires code changes to make significant changes to landing pages, we instead provided a CMS (just Drupal + modules + special sauce) tailored specifically to the client’s need for design flexibility. Panelizer + FPP + IPE gives administrators the ability to craft the content of each page using the layouts and building-blocks that we’ve provided. Everything on the site is built using two layouts, and 36 different FPP types. Deployment and UUID modules are used to create content and users in one central location and syndicate those entities out to several (or all) of the other sites. When an administrator goes to edit a piece of syndicated content on one of the subsites they are redirected to the central site (UUID Redirect module). This minimizes confusion that can be caused by having multiple places to edit the same content. Services module is used to enable cross-site search results (using Apache Solr Service), and to allow the sites to pull in data from each other (ex. 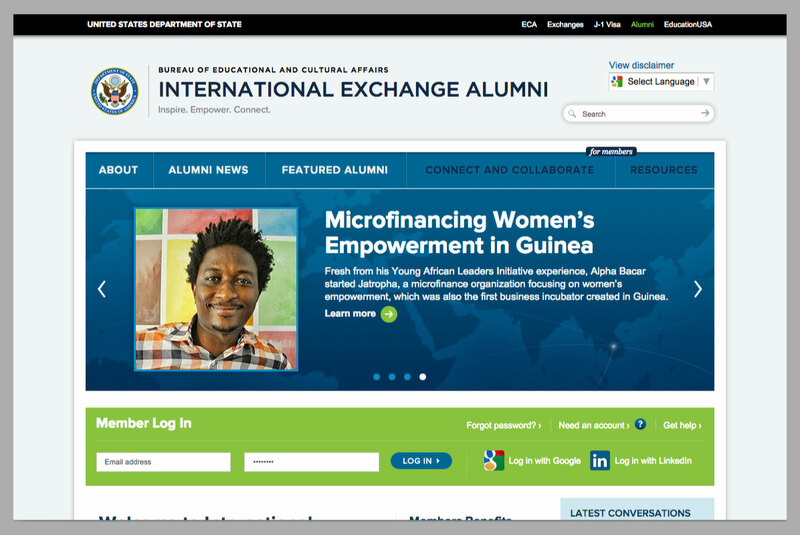 Featured programs and Initiatives from exchange.state.gov are displayed on the homepage of eca.state.gov). Features module is often used in the Drupal community as a deployment tool. And that’s partly its role here, but primarily Features is used for its intended purpose – to synchronize Drupal configuration between sites. A total of 49 features are used.